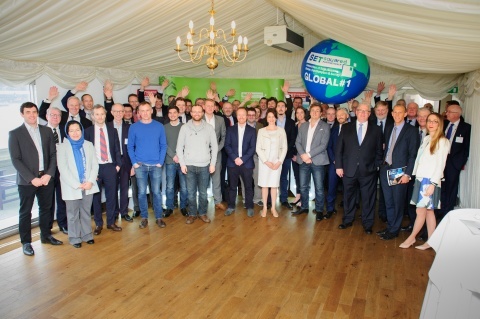 SETsquared announced its exclusive list of top 50 entrepreneurs at a reception at the House of Commons on Wednesday (29 March). The top 50 entrepreneurs to be honoured have all reached milestone achievements, such as successfully raising a significant amount of investment, exporting products globally, had considerable societal impact, or achieved a world first. SETsquared, which is celebrating its 15th year in 2017, is the enterprise partnership of the universities of Bath, Bristol, Exeter, Surrey and Southampton, and the global number one university business incubator. It has supported over 1,000 high-tech, high-growth companies who have had significant economic impact, collectively raising over £1bn of investment and creating over 9,000 jobs. The announcement of SETsquared’s top 50 entrepreneurs will take place on the historic day that Prime Minister Theresa May is to trigger Article 50, and serves as a strong reminder of strength of UK technology innovation and entrepreneurship in the global market. Being identified as one of the top 50 entrepreneurs from a talent pool of over 1,000 is a real accolade and testament to their hard work, dedication and entrepreneurship. To draw up the list, SETsquared was assisted by an expert panel of investors and innovation corporate leaders. Entrepreneurs on the list are running companies that range across industries such as health, green technology and 5G and wireless communication. The reception at the House of Commons will provide an opportunity for the entrepreneurs to celebrate their achievements along with MPs and special guests, as well as sharing stories on their personal entrepreneurial journey.